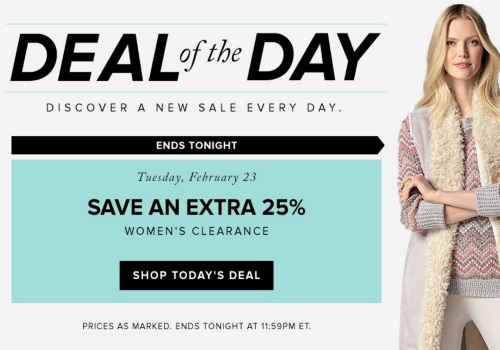 Hudson's Bay's Deal of the Day today is an extra 25% off Women's Clearance items! This applies today only, Tuesday, February 23, 2016. Prices are as marked.